If Brunchosaurus were to live anywhere else in Canada, I think he would find himself at home in Montreal. With every side street rammed with hipster cafes, greasy spoons and bagel joints, Benny would die a happy Dino. 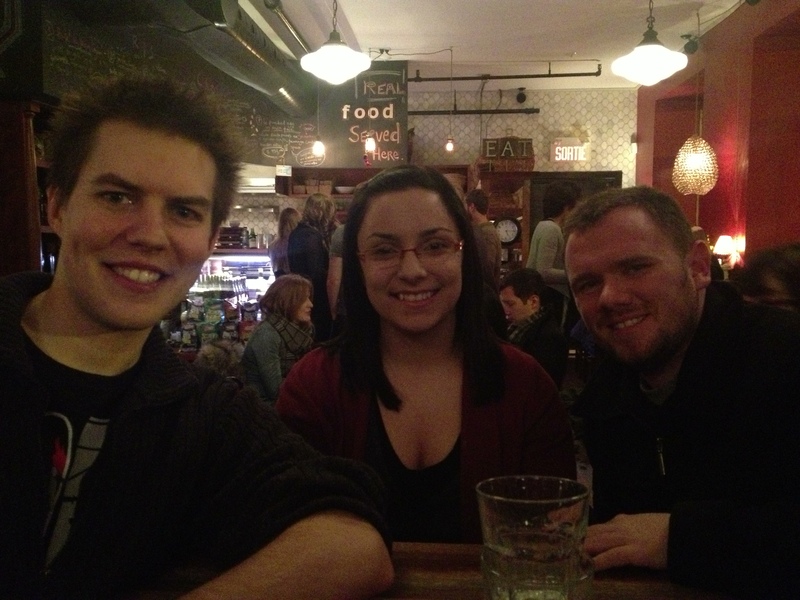 Chris brought his team to Montreal as a thank you for all their hard work over the last year. This evening was jam-packed with a limo ride, comedy, and karaoke but we made sure we had time to try two highly recommended cafes. Thank you to Dr. Jaime for her word doc of of Montreal’s greatest hits. Food Goes Down Better with Great Company! Our first stop after arriving in Montreal was Olive et Gourmando for a late lunch. They have a counter style ordering process and I can see how it can be a bit confusing the first time you go (especially if french isn’t your first language). You first want to wait for the waitress to seat you and give you a blank sheet of paper where your orders will be written down. Once you’ve got a spot to sit it’s off to go look at the selection at the counters. We had a french speaker in our group who helped translate the specials on the chalkboard but the staff were very helpful in suggesting drink options or other food items that weren’t written down. I went with a panini chaud (hot panini) called Le Cubain (pictured above). 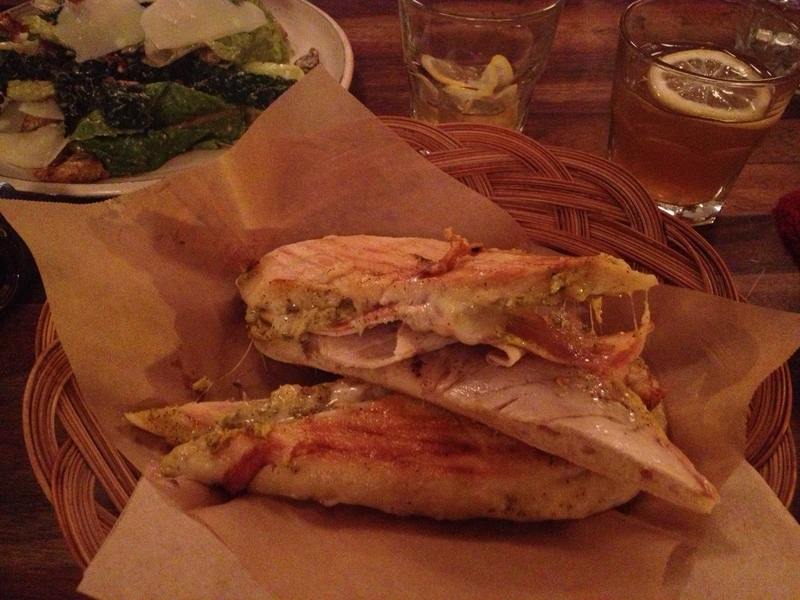 Panini filled with ham, braised pork and homemade mayonnaise. Don’t forget the Gruyere cheese that melts everything together. 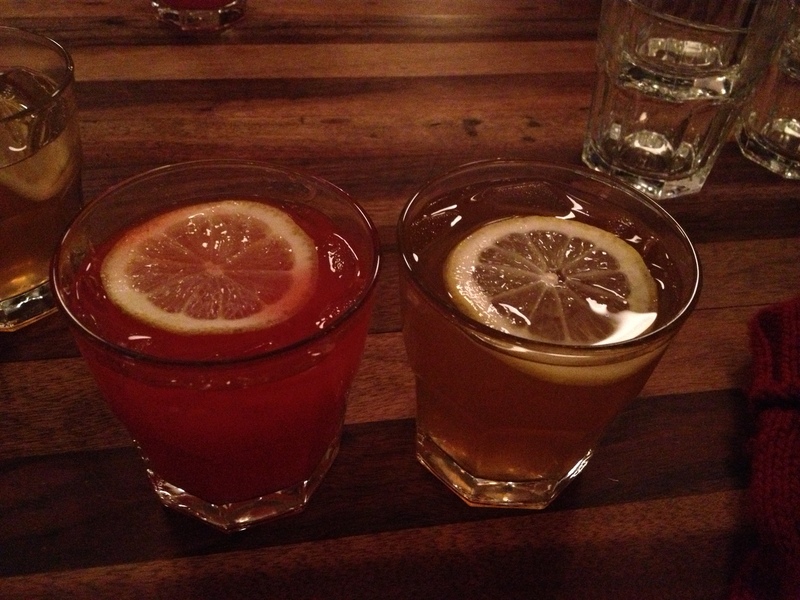 We also tried their housemade sweet iced tea and their raspberry lemonade which were perfectly sweetened and delicious. 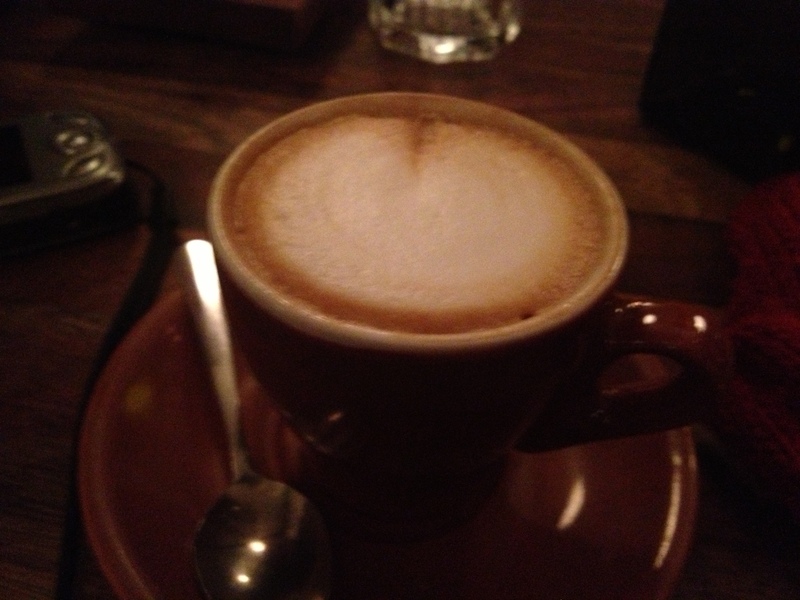 Last but not least I had a nice cappucino to finish off my meal. They some how found that happy medium of foam and liquid. I hate ordering a cappuccino and finding that I’m either sipping air or I’m enjoying a latte instead. 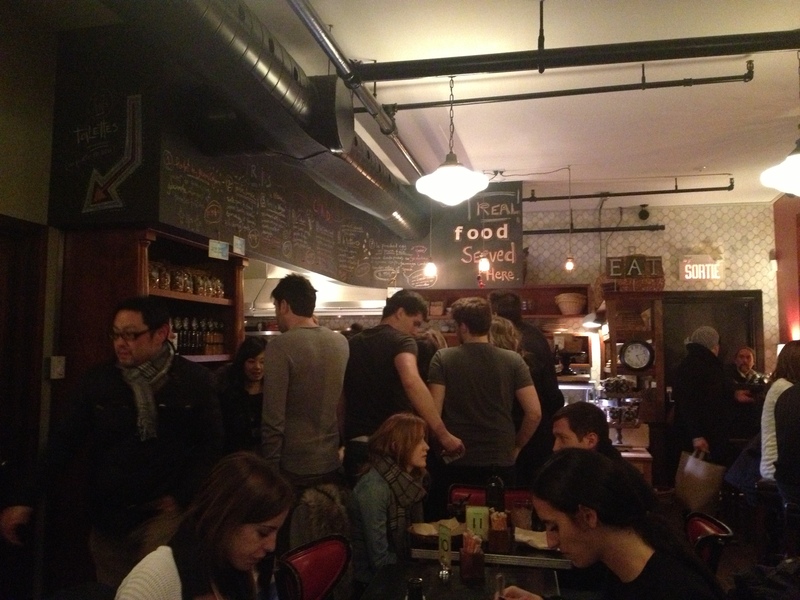 They have a great cozy atmosphere, friendly staff and great pricing to go with their great food. Jaime suggested going here in the morning to get a good selection of their croissants, muffins and cookies. The case was pretty much empty when we arrived so it looks like we’ll have to make a return here very soon! Make sure to stop by this beloved Montreal establishment if you’re in the city one day. It is definitely not a place you want to miss!